Teaching parts of speech is a must for a good grammar foundation. Teaching nouns is a great starting point for teaching parts of speech. They’re the easiest to teach as they’re naming words. Ask kids to walk around the room and name the things they see. They’re naming nouns. Digging deeper into nouns is easy, too, with the help of some well-written picture books. Grammar books are great, but if you prefer a no-textbook approach or you want an interesting twist for your upcoming lesson keep reading. Teaching parts of speech is a must for a good grammar foundation. 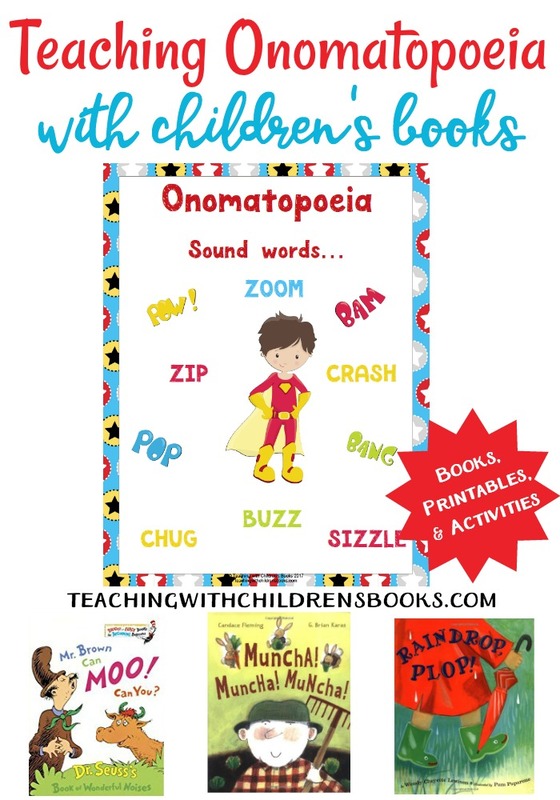 This collection of picture books and printables will help make teaching nouns easier! Our all-time favorite grammar picture books are written by Ruth Heller and Brian P. Cleary. The series by Brian Cleary is written for younger learners so they’re a great place to start. 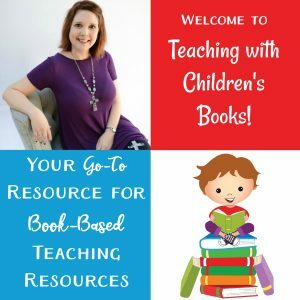 Ruth Heller’s books are a little more advanced and can easily be used with upper elementary and middle school learners. Written for grades 2-4, A Mink, a Fink, a Skating Rink: What Is a Noun? is a great introduction to nouns. With witty rhymes and cartoonish illustrations, kids will be able to see exactly what a noun is. 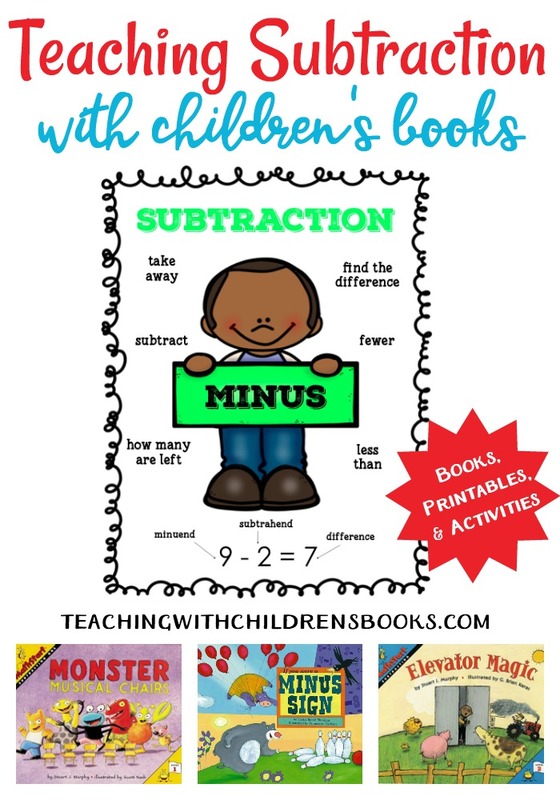 Digging a little deeper, A Lime, a Mime, a Pool of Slime:More About Nouns covers more specific nouns like abstract and proper nouns while Ruth Heller’s books are a little heftier in content making them perfect for grades 4-7. Merry-Go-Round: A Book About Nouns is beautifully illustrated and jam-packed with content. 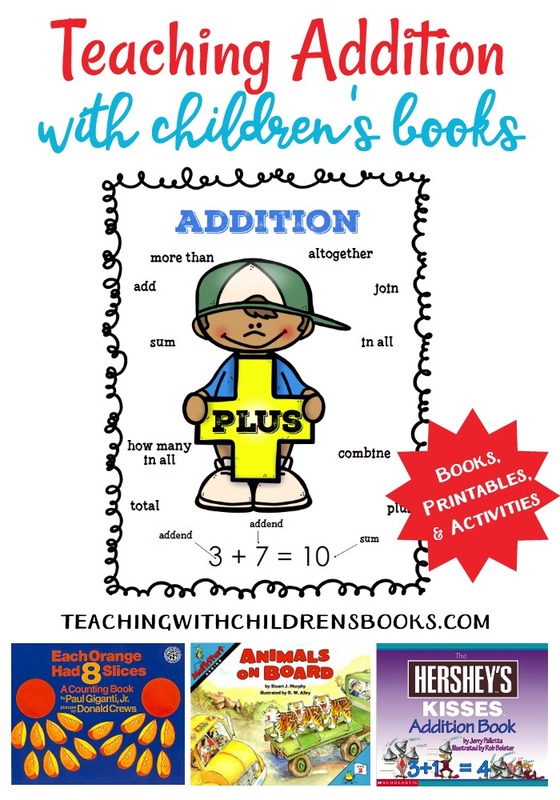 This book covers everything from basic nouns to abstract nouns and singular nouns to possessive nouns. She even includes common spelling rules. A Cache of Jewels goes a step further by covering collective nouns (bunch of grapes, parcel of penguins, etc.) This book is a great way to introduce collective nouns to young kids or to refresh the memories of older ones. Actually, you might learn something new as well. Nouns and Verbs Have a Field Day | It’s Field Day in Mr. Wright’s class, and not just for the students. Nouns and verbs want to play their own games, such as tug-of-words and three-legged races. But wait! No one is getting anywhere. First nouns and verbs will have to learn about the kind of teamwork needed to make a sentence. An Ambush of Tigers | This fun-filled romp through the animal kingdom introduces collective nouns for animals through wordplay. Clever rhymes and humorous illustrations bring these collective nouns to life in funny ways, making it easy to remember which terms and animals go together. If You Were a Noun | Provides an introduction to nouns and proper nouns. A Lime, a Mime, a Pool of Slime | One book couldn’t possibly be enough to cover the topic of nouns. The cats are back with their comical examples to drive home to readers just what a noun is. Specific types of nouns–such as abstract nouns and proper nouns–are also introduced in this giggle-a-page expansion on the topic. Herd of Cows! Flock of Sheep | What’s more fun than a clowder of cats, a rafter of turkeys, a swarm of bees, or a pack of dogs? Herd of Cows! Flock of Sheep!—the latest word play from the king of language arts picture books, Rick Walton. 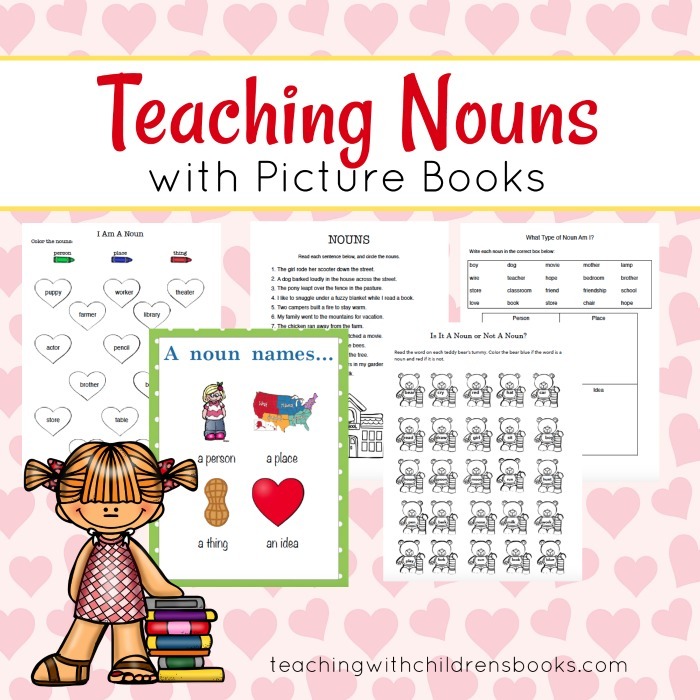 Inside this nouns mini-pack, you will find an anchor chart and four worksheets to help your students better understand nouns. 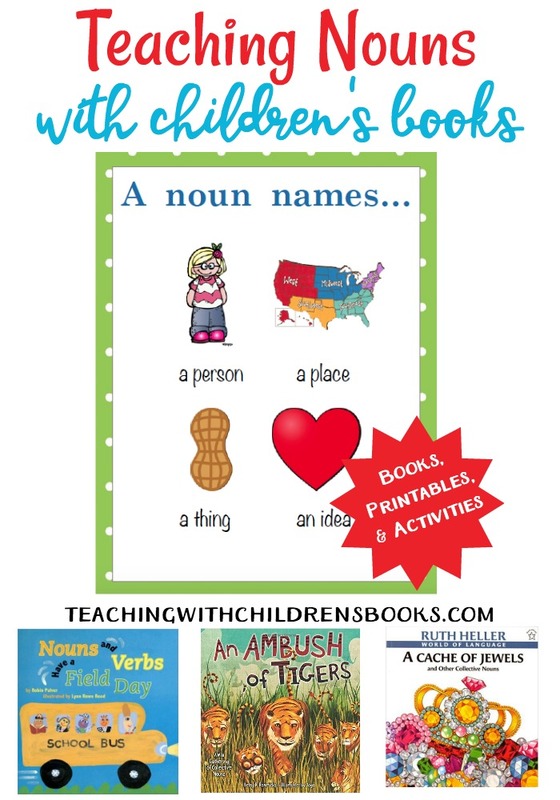 What is your favorite resource for teaching nouns to your kiddos?